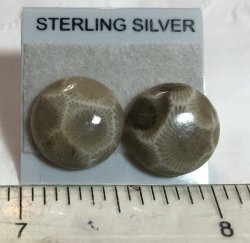 This is a nice pair of earrings made from Petoskey stone. These are cute little ear rings. They are on sterling silver posts. They measure 12mm across or approx. 1/2". 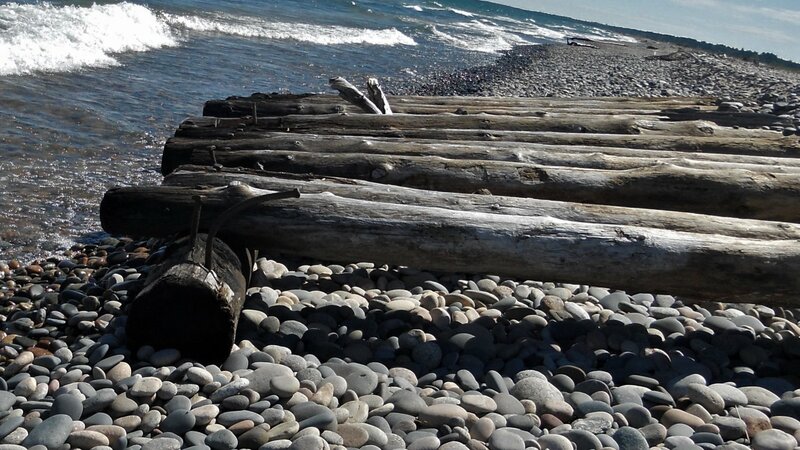 The Petoskey Stone is a Fossilized Colony Coral. The Coral is a "Hexaganaria", which stems from its hexagon shape.